Star rating: 5 stars–outstanding/potential classic, 4 stars–very good, 3 stars–adequate, 2 stars–disappointing, 1 star–poor. Serge Lutens L’Eau baffled me. A friend urged me to read the marketing information, saying it somehow helped him to understand L’Eau. “..these ruptures are at a given moment absolutely necessary if I don’t want to collapse, fall — if you will — in a cliché of myself and finish dying of boredom…” (WWD, 2/19/2010) Basically, if I want Serge Lutens to continue his dark mysterious tales, I need to put up with something different from time to time. Fair enough! Many of the previous Serge Lutens lite offerings have actually been quite interesting—the wholesome sparkle of Fleurs de Citronnier, the delicate opalescence of Gris Clair, the luminosity of the modern white musks in Clair de Musc. The main issue I have with L’Eau is not that it is a clean floral, but that it is not particularly interesting or original as a fragrance in this genre. 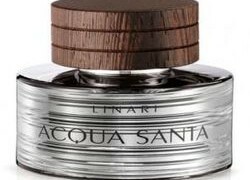 In fact, if L’Eau was released by another label, I probably would not have written about it, as it is precisely the kind of fragrance I do not enjoy reviewing. There is nothing polarizing one way or another about it and nothing memorable. Marine and ozonic notes can give very interesting effects in fragrances by suggesting the elusive freshness of the sea or by lending a dewy impression to floral accords. Overdosed as in L’Eau d’Issey or Calvin Klein Escape, marine notes set against rich floral accords lend an interesting juxtaposition of ethereal transparency and impressive tenacity. Although this genre was overdone in the past few decades, there is always room for innovation and creativity. One example is Hermès Un Jardin Après La Mousson, which contrasts watery notes with a warm, spicy sensation. It is disappointing that L’Eau, coming from one of the most trendsetting niche houses, does not provide any twists on the theme. L’Eau is certainly fresh, crisp and delicate. The aldehydic accord is reminiscent of starched linens, while the combination of different musks in the base gives it a hot iron effect. It is pleasant and unoffensive because it is barely noticeable. L’Eau is the last thing I would wear, mostly because I would keep forgetting about it. So, I suppose that if the goal is to create an anti-perfume or anti-scent, it works. Meanwhile, I will wait out this phase of Serge’s creative development and hope for the next dark wonder. Serge Lutens L’Eau (fragrance family: floral-watery/marine) includes notes of citrus accord, aldehydes, oxygen O2 accord, ironwood, clary sage, musks. Compared to L’Eau d’Issey, it also seems sharp and rough, while the complex natural rose notes in L’Eau d’Issey wraps the synthetic sharpness of its marine accord. In fact, Lutens’ Clair de Musc gives a much better suggesting of musky radiance than L’Eau. For a clean and refined sensation interpreted in the crisp effervescent (aldehydic) manner, Chanel No 22 or Estée Lauder White Linen are unrivaled. L’Eau is sold in the export range. The export line fragrances are available from Aedes, Beautyhabit, Luckyscent, Barneys, Bergdorf Goodman, and from some Neiman Marcus locations. OK, I really needed to get this off my chest and leave it behind in 2010! Olfactoria: Like you said, if it were not by Lutens we wouldn’t sniff twice. This scent almost angers me, stupid, I know, but I think it is just not worth the attention. 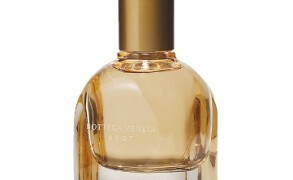 Victoria/EauMG: I can see why SL created this fragrance, I’m sure even he has his “anti-perfume” days. Plus, the anti-perfume trends really slipped into the niche, Nudite Intense and Juliette Has A Gun. It has been a trend in the mainstream for years & now luxury wants to play with it. But, I really do see this as a trend and I can’t wait for it to be over! I love your “fresh” suggestions. I always reach for No 22 and the original White Linen on those days I want crisp and clean.